I always walk by this gate and want to take a picture of it and I finally did! 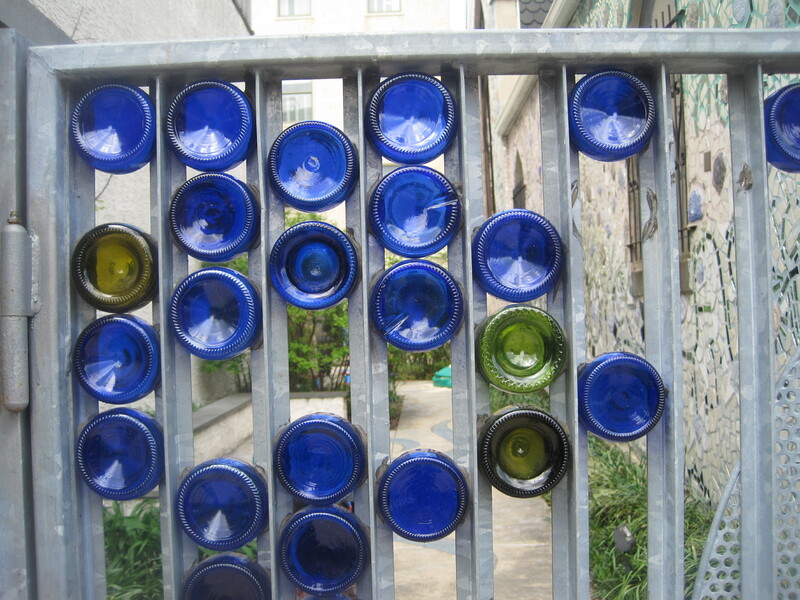 The gate goes into someone’s side yard and is decorated with different color bottles in a random pattern. Just another example of the interesting artwork you can see all around Philadelphia!